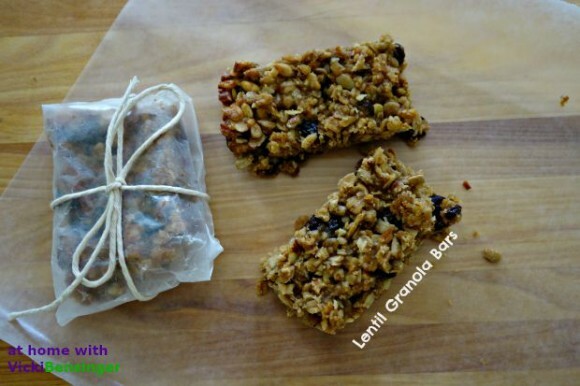 I know what you’re probably thinking – Lentils in granola bars! Yes you heard that right, and surprisingly in a taste test of 15 people, hands down, they all said they’d be making these. In a previous post on a Lentil & BBQ Corn Salad, I mentioned how I’d never liked lentils until having that salad. Since then I’ve tried lentils a variety of ways. As in the recipe below and other not so typical recipes, I’ve found the lentils to add that extra touch of moisture to the dish. Lowering Cholesterol – Lentils help to reduce blood cholesterol since it contains high levels of soluble fiber. Heart Health – Lentils are high in fiber which has been shown to reduce your risk of heart disease. 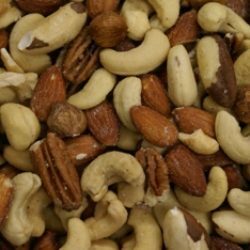 High in folate and magnesium, a big contributor to heart health. Digestive Health – Insoluble dietary fiber found in lentils helps prevent constipation and other digestive disorders. Stabilized Blood Sugar – Adding to the many benefits of fiber, soluble fiber traps carbohydrates, slowing down digestion and stabilizing blood sugar levels. Good Protein – Lentils contain the third-highest levels of protein of all legumes and nuts. Increases Energy – High in fiber and complex carbohydrates, as well as iron, which makes lentils ideal for increased energy and metabolism. Weight Loss – Lentils are low in calories and contain virtually no fat. One cup of cooked lentils contains approximately 230 calories, but will leave you feeling full and satisfied for hours. Since lentils have become increasingly popular you can find packages at most grocery stores. I’ve personally found the greatest variety at Whole Foods. 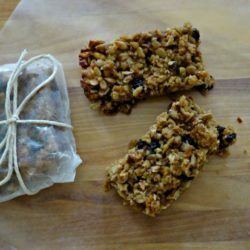 I think you’ll be pleasantly surprised when you make these granola bars. In fact, I’d venture to say they’ll become your favorite. These aren’t just delicious, but truly a Super Energy Packed Granola Bar. Perfect for breakfast, a midday snack, to take hiking or as a quick pick me up that you can put in your briefcase or purse when needed, and even your child’s lunch box. 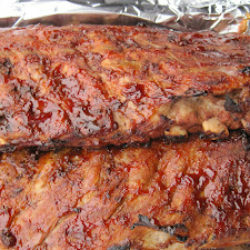 Preheat the oven to 350°F and spray a 9x13-inch pan with nonstick spray. In a small saucepan of about 1 cup boiling water, cook the lentils for 10-15 minutes, until soft. Drain well and set aside. In a small bowl, whisk together the oil, peanut butter, honey, egg, and vanilla. Add to the dry ingredients along with the cooked, drained lentils and stir until well combined and crumbly. Press into the prepared pan. *You can scoop the solid coconut oil in a dry measure. Then place in a container and microwave for 10 seconds. If not liquefied then microwave for another 5-10 seconds. I absolutely love the idea of using lentils in granola bars, Vicki. Such a creative and delicious recipe. They really are delicious and nutritious! I hope you’ll try them. Vicky, these are fantastic!! Absolutely brilliant – full of protein and all that good stuff – thank you! You’re welcome. 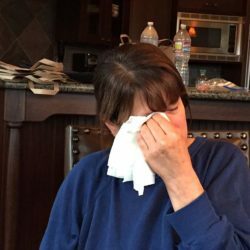 My husband loved them and ate a bar or two everyday last week until they were done. What a yummy, new way to use lentils! They’re so healthy—but I’d never thought of adding them to granola bars. OMG you’d be shocked where you can incorporate lentils. Who’d have thought? I love that there’s always something new around the corner. 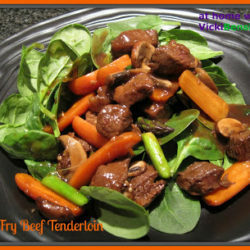 What a great way to incorporate protein! Isn’t it the truth. Just when you thought you’ve seen it all, something new crops up. I recently started making granola bars to eat throughout the week, and I think I’ll have to incorporate lentils into this next batch. Sounds like a great boost of nutrition!